In this this paper, we define and study a new generalization of the Power distribution and the quadratic rank transmutation map (QRTM) in order to generate a flexible family of probability distribution taking Power distribution as the base distribution. The new distribution is called the beta transmuted Power (BTP) distribution. Some properties of the distribution such as moments, quantiles, mean deviation and order statistics are derived. The method of maximum likelihood is proposed to estimate the model parameters. The asymptotic conﬁdence intervals for the parameters are also obtained based on asymptotic variance-covariance matrix. A simulation study is conducted to study the performance of the estimators. The importance and flexibility of the new model is proved empirically using a real data set. Ahsanullah, M. (1973). A characterization of the power function distribution. Communications in Statistics-Theory and Methods, 2(3), 259-262. Ahsanullah, M., & Kabir, A. L. (1974). A characterization of the power function distribution. The Canadian Journal of Statistics/La Revue Canadienne de Statistique, 95-98. Balakrishnan, N., & Nevzorov, V. B. (2004). A primer on statistical distributions. John Wiley & Sons. Cordeiro, G. M., & Nadarajah, S. (2011). Closed-form expressions for moments of a class of beta generalized distributions. Brazilian journal of probability and statistics, 25(1), 14-33. Cordeiro, G. M., & dos Santos Brito, R. (2012). The beta power distribution. Brazilian journal of probability and statistics, 26(1), 88-112. Dallas, A. C. (1976). Characterizing the Pareto and power distributions. Annals of the Institute of Statistical Mathematics, 28(1), 491-497. Eugene, N., Lee, C., & Famoye, F. (2002). Beta-normal distribution and its applications. Communications in Statistics-Theory and methods, 31(4), 497-512. Forbes, C., Evans, M., Hastings, N., & Peacock, B. (2011). Statistical distributions. John Wiley & Sons. Ghitany, M. E., Atieh, B., & Nadarajah, S. (2008). Lindley distribution and its application. Mathematics and computers in simulation, 78(4), 493-506. Gradshteyn, I. S., & Ryzhik, I. M. (2000). Table of integrals, series, and products. Academic press. Johnson, N. L., Kotz, S., & Balakrishnan, N. (1994). Continuous univariate distributions. New York: John Wiley and Sons. Kleiber, C., & Kotz, S. (2003). Statistical size distributions in economics and actuarial sciences (Vol. 470). John Wiley & Sons. Meniconi, M., & Barry, D. M. (1996). The power function distribution: A useful and simple distribution to assess electrical component reliability. Microelectronics Reliability, 36(9), 1207-1212. Miller, J. R. (1981). Survival analysis. New York: John Wiley. Naveed-Shahzad, M., Asghar, Z., Shehzad, F., & Shahzadi, M. (2015). Parameter estimation of power function distribution with TL-moments. Revista Colombiana de Estadística, 38(2), 321-334. Oguntunde, P. E., Odetunmibi, O., & Okagbue, H. I. (2015). The Kumaraswamy-power distribution: A generalization of the power distribution. International Journal of Mathematical Analysis, 9(13), 637-645. Rajesh, G., Renjini, K. R., Jeevanand, E. S., & Abdul-Sathar, E. I. (2015). Bayes estimation of Lorenz curve and Gini-index for power function distribution. South African Statistical Journal, 49(1), 21-33. Sinha, S. K., Singh, P., Singh, D. C., & Singh, R. (2008). Preliminary test estimators for the scale parameter of power function distribution. Journal of Reliability and Statistical Studies, 1(1), 18-24. Sultan, R., Sultan, H., & Ahmad, S. P. (2014). Bayesian analysis of power function distribution under double priors. 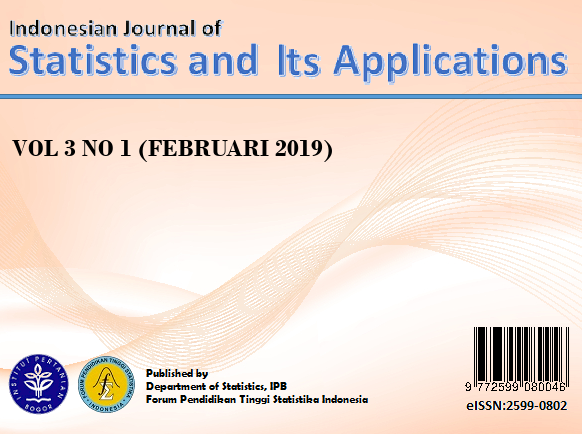 Journal of Statistics Applications & Probability, 3(2), 239-249. Tahir, M., Alizadeh, M., Mansoor, M., Cordeiro, G. M., & Zubair, M. (2016). The Weibull-power function distribution with applications. Hacettepe Journal of Mathematics and Statistics, 45(1), 245-265. Zaka, A., & Akhter, A. S. (2014). Modified moment, maximum likelihood and percentile estimators for the parameters of the Power Function distribution. Pakistan Journal of Statistics and Operation Research, 10(4), 369-388. Zaka, A., & Akhter, A. S. (2014). Bayesian analysis of power function distribution using different loss functions. International Journal of Hybrid Information Technology, 7(6), 229-244. Zaka, A., Feroze, N., & Akhter, A. S. (2013). A note on Modified Estimators for the Parameters of the Power Function Distribution. International Journal of Advanced Science and Technology, 59, 71-84.